CentraCom has a data center centrally located in Utah county offering businesses affordable data storage, backup, hosted firewall, SD-WAN and Cloud Virtual Machine. Businesses of all sizes throughout the state have access to constant protection of their networks from viruses, malicious intrusions, web filtering for their entire network. 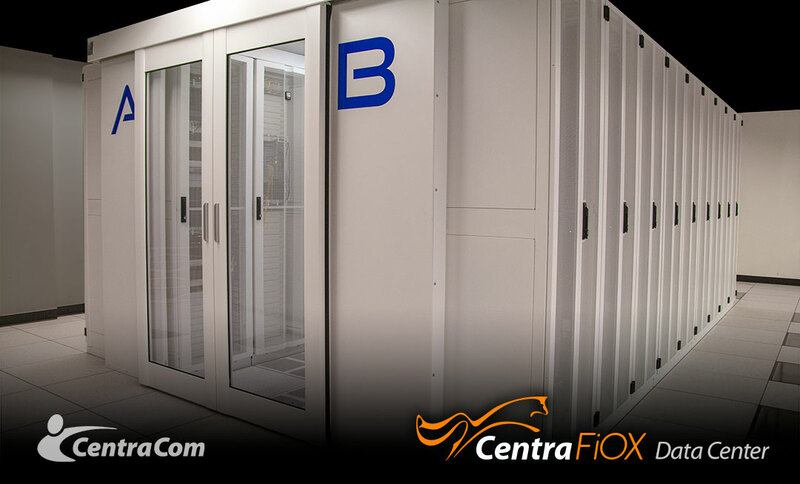 The CentraFiOX data center is robust with multiple fiber routes and redundant power sources to prevent service interruptions. Data Backup: Securely store all of the important information from your entire system. CentraFiOX offers robust and unlimited storage with 2-factor authentication and on-premise encryptions keys. Dedicated Hosting: Dedicated hosting through the CentraFiOX Data Center can save you money while assuring your server is always up-to-date and protected. Cloud Hosting: With your own virtual private server in our secure facility, you have a scalable resource with full root access through a web-based control panel for 24/7 remote access. Colocation: Host your data infrastructure in a secure facility separate from your location. Take advantage of CentraFiOX experts and carrier networks. Contact an Expert or call (801) 854-5000 today. CentraFiOX offers a host of Fortinet products to make it easier for business and IT managers to secure their local networks from outside threats such as Malware, Viruses, RansomWare, etc. Fortinet Service by CentraFiOX specializes in Security and offers Unified Threat Management (UTM) bundles to secure the smallest office to the largest enterprise. CentraFiOX Hosted firewalls are powered by Security Processing Units and AI-driven FortiGuard Labs helps delivers zero-day threat protection, unparalleled performance that helps reduce cost variables and achieve maximum ROI. Fortinet Secure SD-WAN from CentraFiOX provides high-speed application performance while reducing cost and comes with the built-in Next Generation Firewall. Application-aware WAN Edge directs business-critcal applications to make business operations efficient. Allows network operators to intelligently segment network and infrastructure to apply adaptive access control and provide automated threat protection and cost-effective enforcement points ensure in-depth threat defense. Easily manage digital transformation initiatives with dominant centralized security management and automated tracking and reporting.